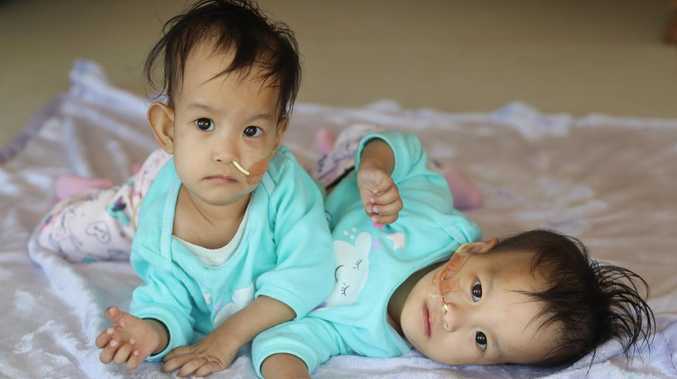 ROYAL Children's Hospital surgeons will attempt to separate conjoined Bhutanese twins Nima and Dawa in a marathon operation on Friday. Up to 30 specialists will be involved in the highly complex procedure to give the 15-month-old sisters individual lives and retain their full health. A team of 18 RCH surgeons and other specialists work in unison in the operating theatre, while other specialists will be involved in the unique effort required to anaesthetise and care for the sister's with some shared bodily systems. Separation surgery was originally planned to take place on October 12, but had to be postponed to allow the girls to build strength and overcome ill health after a hectic journey from their Himalayan home. 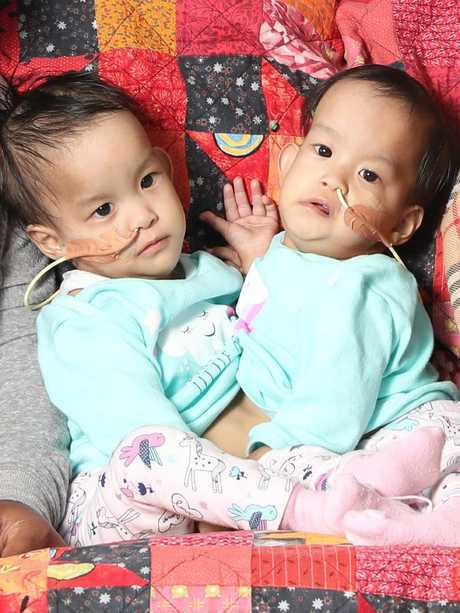 The sisters' health has improved in recent weeks as they have received around the clock nutritional support at Children First Foundation's Miracle Smiles retreat in Kilmore. Nima and Dawa's health has improved so much they have increased in weight, making it difficult for their mother Bhumchu to carry the growing pair. 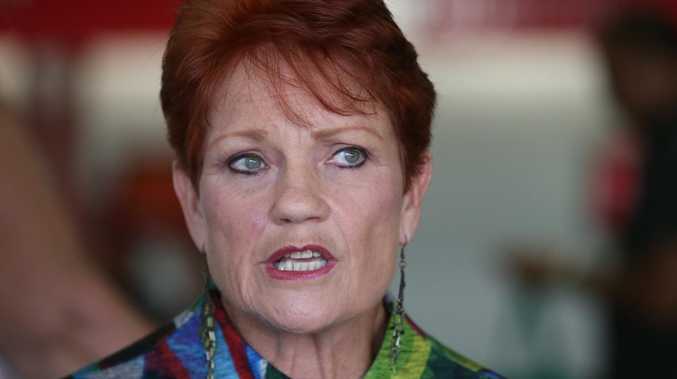 While the strain of being joined permanently facing each other, and unable to crawl, sit or stand, is still frustrating for the sisters, they are lapping up the new-found freedom of the CFF's Kilmore retreat. While scans reveal Nima and Dawa's liver is connected and will require extensive surgery to separate, doctors believe they have all the 'plumbing' required to allow each retain a fully functioning organ. Other aspects of their shared condition may not be fully known until the team is operating on Friday, including the extent of their shared bowel.